Across this great land of ours, thousands of tax practitioners, software developers, IRS and state tax and revenue offices are hard at work studying current Federal, state and local income tax laws to provide taxpayers a smooth filing of their 2014 income tax returns. The IRS has completed their annual road show, spreading the good word and setting the stage for everyone to file according to the law of the land. But wait! Uncertainty is the only sure thing one can count on in today’s world according to Washington. There are 3 looming events that may impact your tax refund this year. The lame duck Congress attempted to pass legislation to extend a number of tax provisions that expired at the end of 2013. Similar to changing the expiration date on dairy products after they’ve hit the shelf, routinely expired deductions have been resurrected at the last minute (or several days after the last minute) to provide current year tax relief. Under the threat of a Presidential veto because not everyone’s favorite items were included in the extenders bill, there is no deal on the table. Debate will likely continue between the lame duck Congress and the White House until Congress recesses for the year. 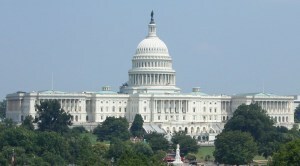 The baton will then pass to the new Republican-majority Congress to continue the debate after New Year’s. Result: tax filing will likely be delayed again in 2015 until the extenders issue is resolved and IRS (and everyone else) retools to help taxpayers file and get refunds due. Dateline: Washington, December 11, 2014. Congress and the White House agreed on the hotly debated extenders bill extending many tax provisions that expired at the end of 2013. President Obama acknowledging bipartisan responsibility for providing fair and just tax relief to millions of Americans as he signed the bill into law as the 113th Congress evacuated Washington. The 114th Congress takes up the baton and drafts a revised extenders bill, largely ignoring the threat of a Presidential veto so early in the term. Debate continues into mid-January with IRS issuing a delay in the start of accepting tax returns until sometime after the Hatfield and McCoy factions at either end of Pennsylvania Avenue lay down their microphones and pass something. Anything. Result: The delay of 2014 filing until the end of January last year starts to look like the good old days to the IRS and tax practitioners.